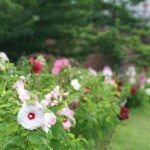 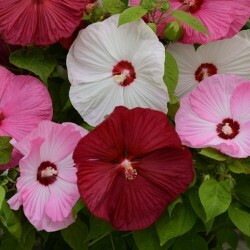 Crimsoneyed rosemallow is a wonderful hardy hibiscus for large summer gardens. 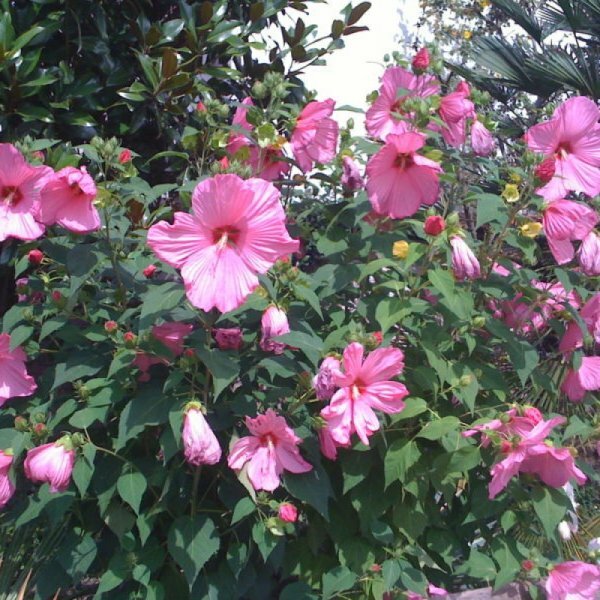 This semi-woody species originates from central and eastern North America and has an upright, shrubby habit. Its leaves are large, sometimes lobed and have a soft texture. 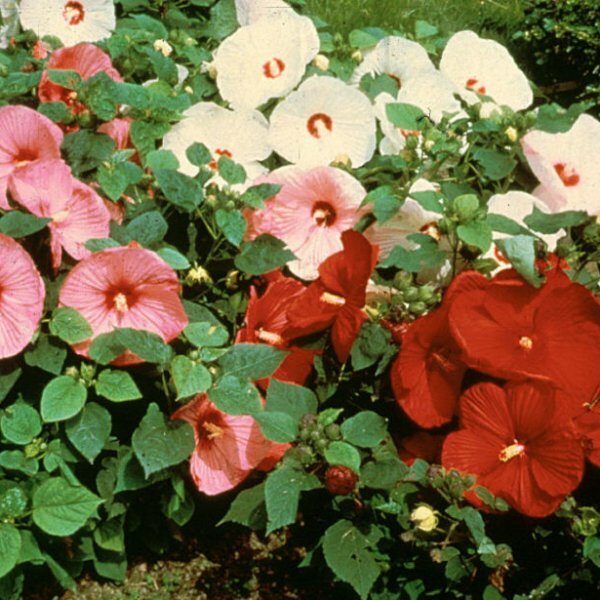 From summer to fall enormous disc-shaped flowers of white with striking red centers appear. Pink and red-flowered selections are also available.